Hi everybody, how is the new year treating egoafgbs gbkjz b HEY THATS GREAT! So, winning streaks are important! Just ask probably every team that’s not Buffalo, the New York Islanders or Edmonton (which is a place Ottawa feels like today!). Does anyone else feel like the 2014 end of the season is going to be a lot of staring at the standings with Ottawa a goddamn 3 game winning streak away from jumping into the playoff mix?Becauuuuuuse 2014 is only 2 days old and it is kind of already that. The new year (is it still cool to call it that?) has already seen it’s share of news. Erik Karlsson has expressed his readiness to leave 2013 behind. Hey, turns out having your Achilles tendon sliced in half by human garbage on national television AMONG OTHER THINGS PROBABLY is terrible! What this means for the Ottawa Senators I have no idea THANKS FOR READING! No, he already leads the team in points and is pacing toward a campaign similar to his Norris winning year so…I don’t know what a fired up Erik Karlsson looks like. Are thangs bout to get Turnt Up or have thangs already yet been Turnt? 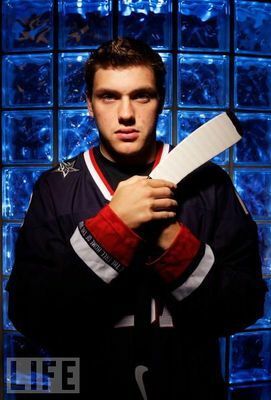 The other big piece of news is Bobby Ryan’s exclusion from the US Olympic team roster. I’m as shocked as anyone. My best guess is the skating on international ice…I guess? (Side note: Has Bobby Ryan’s supposed sluggish skating been a negative factor at all this season? I don’t really see it with his constantly scoring goals plugging my eyes.) It can’t be conditioning because Phil Kessel looks like a canned ham. I mean, on the subjects of skating and conditioning, I’m from a country that put Dany Heatley on their squad and they managed to WIN (on the second try). I’m no Steven Yzerman (looks wise) but you put the guy who can score goals on the team right? Whatever. Brian Burke is a dish best served in charge of rival teams. Though his two game goalless streak is now a thing of Legend, Bobby is on pace for one of if not the most productive season of his career. From what I see on the Sensphere many fans are getting their snuggies on and grabbing a bowl of popped corn to watch the already coming in hot Ryan take things to a “Remaining in at high temperature” levels. Considering he’s already hovering around a 35-40 goal season I’ll take a Bobby Ryan with a chip on his shoulder but am managing my expectations. Remember Spezza burning with the intensity of 1000 mups because he was left off the Olympic training camp invite list? Mmmm. Speaking of Spezza he’s not playing to tonight, speaking of tonight there’s a game tonight, speaking of the game tonight, I’m supposed to be talking about the game tonight! The Winnipeg Jets head into Ottawa, a city that feels like Winnipeg today, riding a 3 game winning streak, something the Senators would like to enjoy for only the second time this season. They are looking to win and we are looking to win! We’re the original odd couple! Short Jason Spezza again, Mikael Zibanejad will centre Cory Conacher and Milan Michalek. It’s my theory that Spezz has been playing a bit dinged up since the start of the season. Have you ever hurt your groin? You don’t really miss one game and then you’re all Kool & the Gang. The Captain can take his time recovering as far as I’m concerned. I’d rather him back healthy for the latter half of the season than playing though the pain. Cory Conacher, who I’ve given a pretty tough time this season because 2 goals to show for the first half, has 3 points in his last two games. I would love to see him build on that because the opposite would be not building on that. Fun facts about this line: Maligned Michalek has the most points of that trio…but has also played 10 more games than Zibanejad so…the question is HOW MANY 3rd round picks will Murray get for Milo at the trade deadline? Chris Neil’s injury sees Mark Stone added to the line up. He will play on a line with Jean Gabriel Pageau and Matt Kassian. It’s a bit of a shame to see two skill players on a line with Kassassibaconator as I think Stone’s call up will be a short one and he’s been quiet in his chances with the big club. He’ll likely get about 5 minutes of ice time tonight but gotta have Kassian out there in case whoever the Jets goon is, and looking at their roster looks like could be one of like 11 guys, tries to fight him or whatever. I don’t know just go out there and HAVE FUN! What else? Oh, Clarke MacArthur used to sort of play for this team which is nice. Chris Phillips returns from his foot injury and Patrick Wiercioch will sit again for some reason. Circle of life? Craig Anderson will get the nod in goal again. Despite NOT BEING ABLE TO STOP THE FIRST TEN SHOTS OF THE GAME, he straight up helped steal that last one for Ottawa. There were way more terrifying chances for Washington than I’d like to see in victory. They would look like they were on a power play at even strength…a lot. But whatever it was nice to see the Sens get away with one instead of the usual burn session. Craig’s been showing some of the Andy that we expected to see you know…all season but better late than never.